This picture shows a 2 month old baby pushing up while laying on his stomach. This picture shows a 4 month old baby sitting up all by herself with no assistance. This picture shows a 6 month old baby crawling. This picture shows a 9 month old pointing to communicate with his parents. This picture shows a 12 month old baby learning to walk with the assistance of her mother. This picture shows an 18 month old baby playing with a toy which contains objects in which she must put blocks and cylinders inside of other parts of the toy and take them back out again. This picture shows a 2 year old in the midst of a terrible temper tantrum! 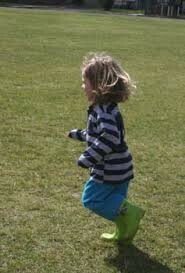 This picture shows a 3 year old running! 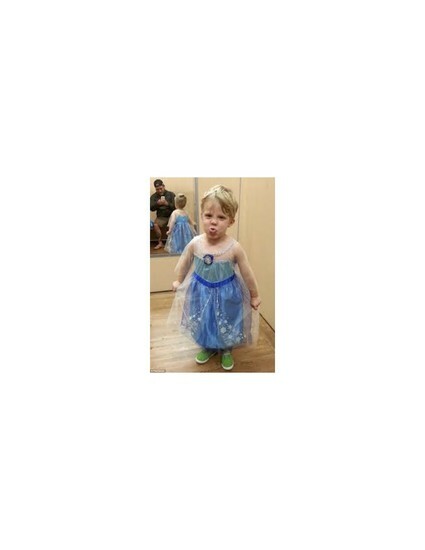 This picture shows a 4 year old boy dressed up as a princess which you can clearly tell he is not too pleased about! This shows that he has likes and dislikes. I'm assuming he would of much rather been dressed up as superman!